There are times when you may want to save an email somewhere else, outside of your inbox. Maybe you want to save certain emails, such as client communications, in a folder for all your staff to access. Maybe you only want to save one particular email as a backup. Regardless of your reasoning, when you save emails outside Outlook, you will want to make sure you are saving the emails in the proper format, so that header information and any attachments remain intact should you need them in the future. The way most people save an email in Outlook is either highlight or open the email they want to save, and then go to File > Save As. When the Save As window appears, they browse to where they want to save it, and then rename the email, if necessary. The last thing you have to do in this scenario is make sure that Outlook is saving in the proper format for you to access your information again. You will want to make sure the Save As Type says Outlook Message Format (Outlook Message Format Unicode is okay too). Unfortunately, if you need to save more than one email, you will have to repeat the process for each and every email that needs saving. Talk about tedious! An easier way to handle saving emails, particularly multiple emails, from Outlook is the drag & drop method. Then, just drag the email(s) out of Outlook, and into the folder. Rename the emails, and you’re done. 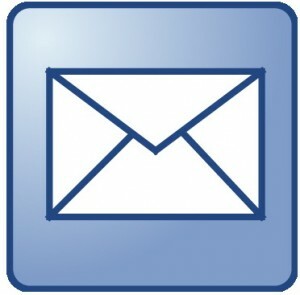 Outlook saves the email in the proper message format automatically. This shortcut is a much easier way to save a large volume of emails from Outlook, saving you time, but it also saves you from the monotony of the “file-save-as” dance. In fact it’s so easy, you may even begin to enjoy saving emails, instead of viewing it as a chore. Do you have a better way to save emails from Outlook? Leave us a comment and tell us how you save your emails. Julie Strier is a freelance writer who is interested in helping you work smarter, not harder, with your technology. Email: julie@mybusinesswriter.com. Website: www.mybusinesswriter.com.